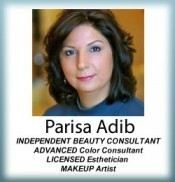 Parisa Adib has made a career out of making women looking beautiful and feeling their best inside and out. She has been in the beauty industry for over 27 years and still runs a successful Esthetician business and skin treatment as well as achieving high goals as a Mary Kay independent beauty consultant. In addition to helping women create their ideal beauty experience, she is also passionate about helping others become successful with the business opportunity at Mary Kay. Parisa specializes in various skin treatments including facials (Firming, Hydrating, Deep pores cleaning, Acne) Hair removal (waxing for body and face, Threading , Brow shaping) , as well as professional Makeup services for special events (weddings, bride, bridesmaid , makeup for Photoshoots, Prom etc. ) and Airbrush Makeup applications. 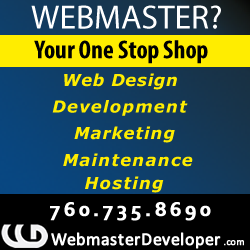 Looking for business opportunity? Contact Parisa if you are seeking a San Diego job opportunity to start your own business as Mary Kay consultant. ~I Offer One Hour Free Consultation for Skincare and Makeup. ~20% Off for first Treatment or Purchase the Product. Contact or visit Parisa’s website below for more information or to book your skincare or makeup session.